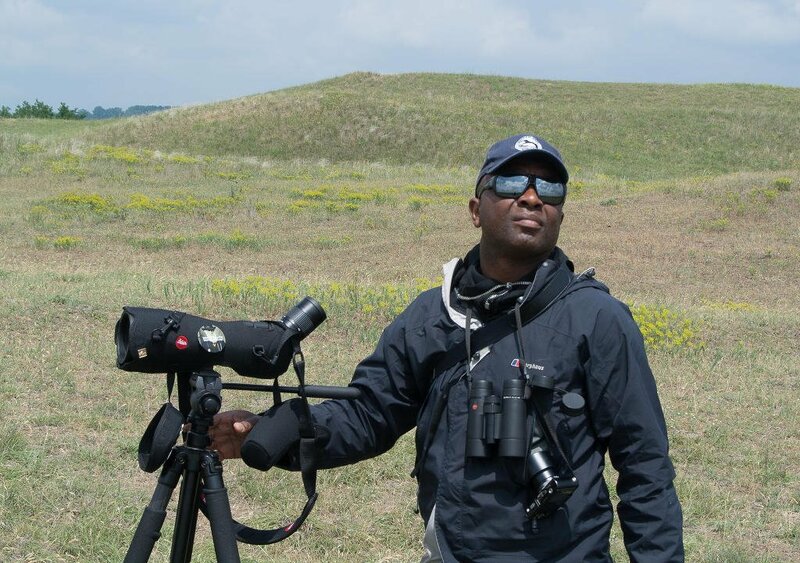 David Lindo, The Urban Birder, explains why he is a regular visitor to Ireland, and loves the birding opportunities it has to offer. I was born in London but whenever anyone asks me where I’m from my stock answer is always that I am a black, Afropean, child of the earth and Honorary Irishman. I particularly cherish the ‘Honorary Irishman’ bit of my epithet because I really do feel a close affinity with the Emerald Isle. When I first came into this world my early days were spent in northwest London, initially in Willesden and latterly in Wembley and my school days in Harlesden. Back in the day all those areas had large immigrant West Indian and Irish communities. My best mate in secondary school was an Irish lad and his family came from Kerry. He went on to be my main birding buddy throughout my formative years and into my early adulthood. I have known my current best mate for over 30 years now. He’s not a birder but is an out and out Irishman hailing from Sligo. I made my first trip to Ireland in the mid 80’s with my Sligo mate. It was a crazy road trip that started with a breakneck drive from London to Holyhead to catch the ferry to Dun Laoghaire. In those days, speed cameras were not a consideration so we did the run in record time. I spent the whole sea crossing on deck sifting through the Gannets and occasional Manx Shearwaters for far rarer quarry. Once in Ireland we made Wicklow our first stop making our base in a lovely B&B we found near the coast. For me in those days birding in Ireland was a bit of a black hole, because besides the few well known spots there appeared to be nowhere else listed. So I looked at my map of Wicklow and discovered Wicklow Head. It was autumn so I spent the next three mornings expectedly quartering my headland patch looking to uncover an elusive Yellow-browed Warbler – that I never did find. But I could judge by the habitat that the potential was there to find a real goodie. We traveled cross-country until we arrived in Sligo. My birding was restricted to the mornings but I still managed to find Twite and a single Snow Bunting on The Strand plus a flyby flock of Barnacle Geese. To me, Ireland seemed full of possibilities; under birded and with lots of great habitat. 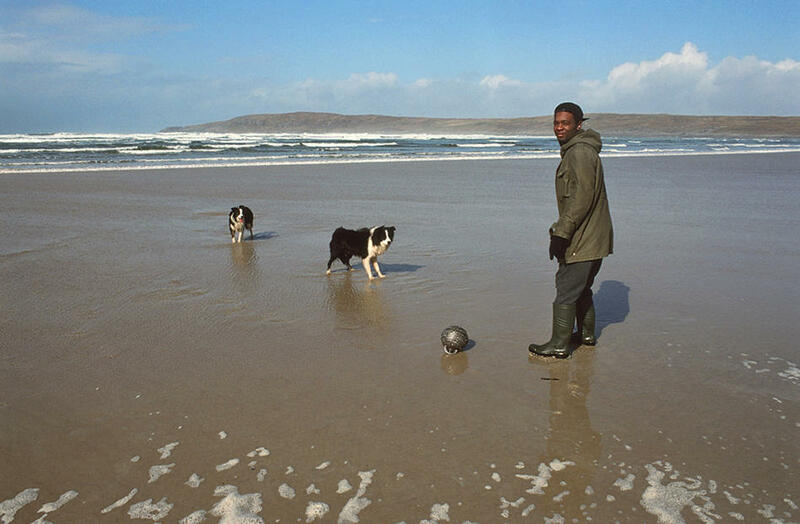 David takes “time out” from a busy Irish birding itinerary to enjoy one of Co. Donegal’s stunning beaches with friends. For several years after that initial visit I became an annual migrant traversing practically every single county. Indeed, to this day it is only Clare and Kerry that I have yet to visit. Although I’m The Urban Birder, my two favourite Irish birding spots couldn’t be further from habitation. I have always had a fixation with Islands. I guess it’s their remoteness; the fact that they are cut off from the mainland. I also love the prospect of exploring an under watched island to potentially find something really interesting; learning about all its nooks and crannies in the process. I know this all may sound very strange coming from a confirmed urbanite, but perhaps I really am a country boy at heart. Therefore it stands to reason that my favourite Irish birding spots are both islands. The first is Tory Island off mainland Donegal. I was first taken there on a day trip in the late 90’s when I was over on business for the British Trust for Ornithology. I fell in love instantly. The crossing was fantastic with Gannets and auks constantly crossing our paths and to be met off the boat by the King of Tory, a portly, jovial Irishman was pretty unique. But it was the habitat that got me. The island was small enough to cover with ease and since it was summer seabirds abounded, especially gorgeous Arctic Terns. I also remember seeing stacks of Ravens and seemingly plentiful Rock Doves and Chough. Taken aback, I returned on my own during the autumn of the following year for a few days. The boat crossing was a lot rougher but it produced stonkingly close views of Leach’s Petrel, a bird that I had only previously glimpsed briefly and distantly from coastal sea watches. I stayed on the island for three days, spending the daytime hours wandering around looking at everything. I found a Robin on one day; an apparent rarity on Tory. On another morning, after leaving my B&B, I practically tripped over a late Corncrake and found a rare juvenile Rose-coloured Starling amongst a group of Common Starlings. Cape Clear in Co. Cork is one of David’s favourite Irish birding hotspots. 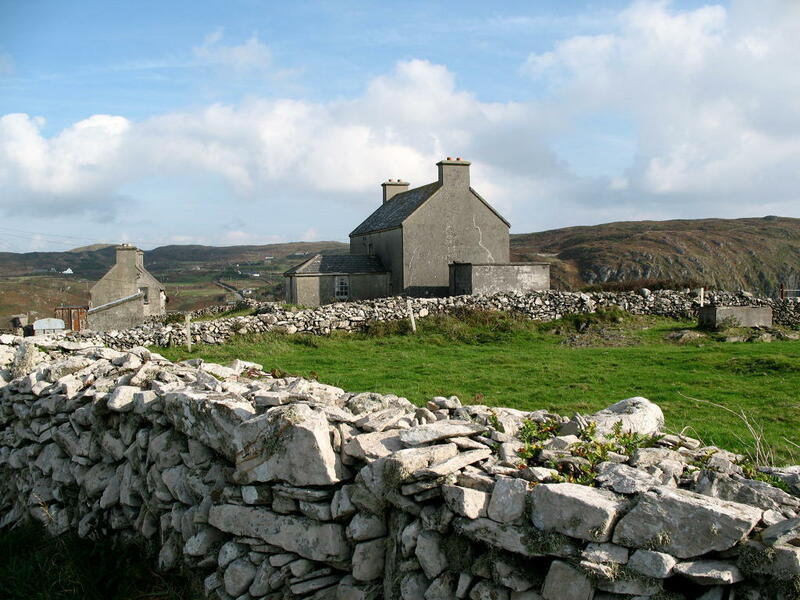 I also have a major love thing going on with Cape Clear, County Cork. I had read so much stuff over the years regarding the avian riches that have been found on this island. To be fair, I have only visited Cape Clear twice both for a week at a time during the autumn. I have also not seen anything truly amazingly rare, but that said, I just love the atmosphere of the place. Furthermore, I can see why it is a magnet for birders and birds alike. It is the feeling that anything can show up at anytime coupled with the fact that like the rest of Ireland it is under watched that gets me so excited. You only have to look at the rarity reports to see the sorts of species that the country pulls in. But Ireland also has good numbers of other birds that are so hard to come across in the UK. That is why I am such a fan of birding in Ireland. Whenever I find myself in Ireland there definitely is a welcome on the mat! organisation - the Royal Society for the Protection of Birds. He also has a popular monthly urban birding column in ‘Bird Watching Magazine’. Check out David's website for more info.